Ambiguous identities, obstructive statements, and cohesive conceptualizations are nothing new to the independent market, especially in the alternative electronic world. 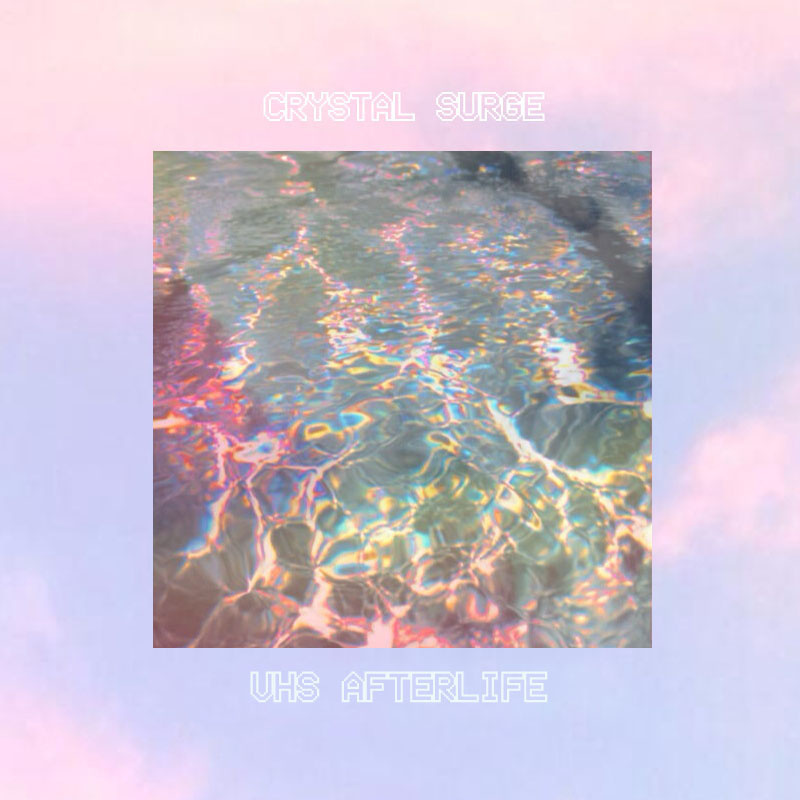 In an apparent attempt to focus deeper thinking, the Ukraine based (at least, that’s the location stated in any details we could conjure up) crystal SURGE have released a puzzling debut entitled VHS AFTERLIFE that recalls nostalgic urgency inside of both minimal and busy tracks. What seemingly works well in the ambient genre lately is the process of time stretching popular music samples beyond recognition. crystal SURGE follows suit in “Heaven is ok (you don’t know),” taking away accessible focus from one of 2012’s biggest hits [spoiler, if you dare] – transforming the sample into uncertain, surreal bliss. An opening ambient pad ambivalently drones, providing the slick paste to mesh interpolated and original aspects together in a solidity. “if you really want it” progresses this motif head on through headstrong, classic Janet Jackson snippets spaced out through a complicated downtempo based foundation. Alternatively, “Japanese Legs” relies more on a dubious environment, almost sketchy and dirty when coupled with the song’s blank title. Following afterward is the accessible “VHS is Killing Me,” with a manipulated emcee confronting the puzzle piece that is the album’s title. “I tried save you, you’d rather fade through. I came through, too late to take you.” The demise of VHS’s have never felt so human. Anything else? “Dennis Rodman in drag as well.” Fair enough. There’s more than meets the eye with this release, in fact there’s an apparent secret code hidden within it. crystal SURGE asks that you decipher it, then hit the Bandcamp contact button with your answer. The first person to successfully crack the code will be contacted back for further instruction. Thumbs up if you’re listening to this in 1999 now. VHS AFTERLIFE was released on January 23rd, 2014 and is available as a limited casette and name your own price digital download via Bandcamp. This entry was posted in Uncategorized and tagged Bandcamp, Chicago Bulls, Crystal Surge, Dennis Rodman, Infrasound, Interview, Janet Jackson, Nyetscape, One Direction, time stretch, VHS Afterlife. Bookmark the permalink.